Level 8 Craftling: Garden 2016! Once again I have a garden! 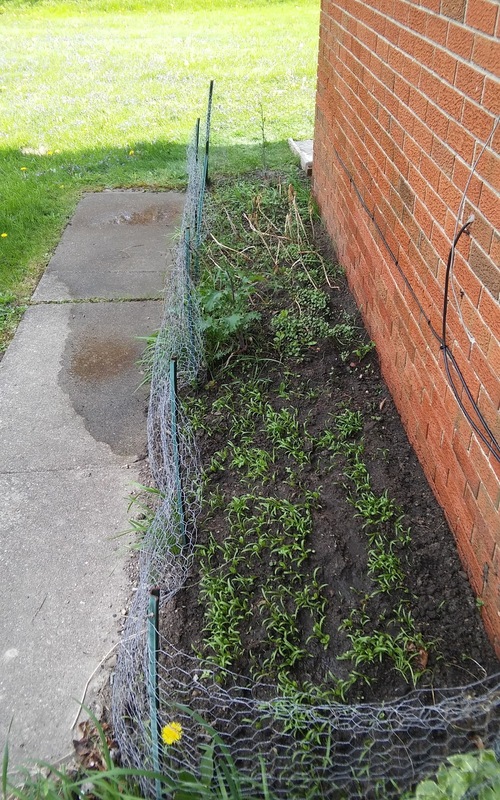 These photos are only from 11 days ago, and I'm already astounded by how much the garden has grown since then. I've already eaten two salads from it, and used some kale and herbs in a bean soup. It's so wonderful! I'm just so excited to have a garden - this post is just photos of all the baby seedlings. 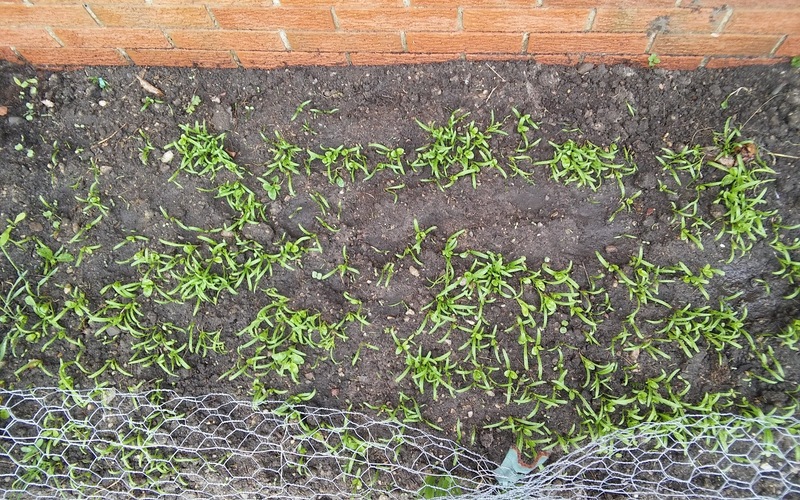 First: spinach! Here they are baby seedlings, and now they all have their first full baby spinach leaves and will be ready for eating in another couple weeks. Kale! 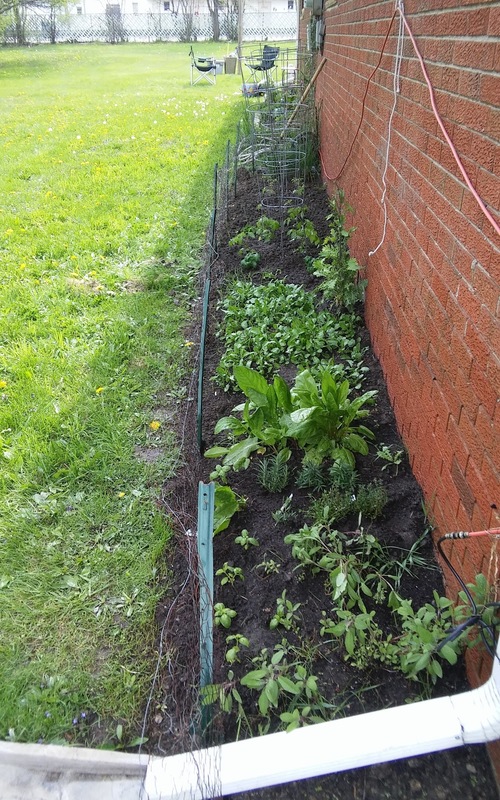 A mixture of some plants from last year and a bunch of newly planted seeds. Herbs: Sorrel, rosemary, thyme, french tarragon, basil, and sage. 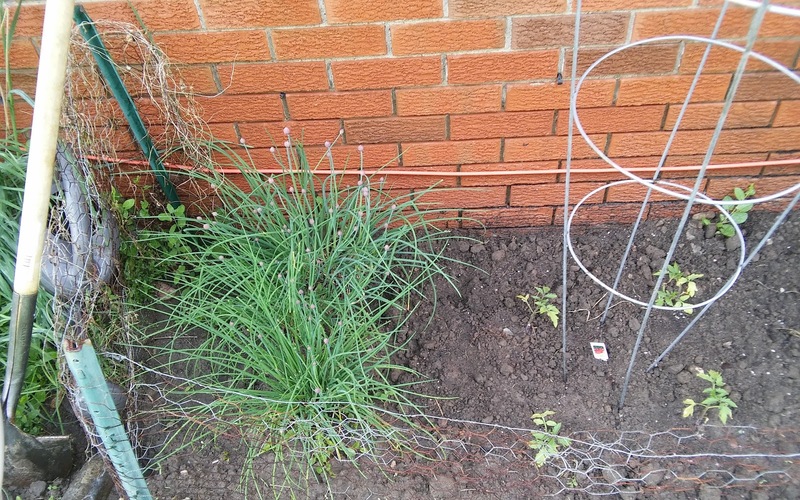 The sorrel and sage were already there from last year, and the rest I bought and had just planted. 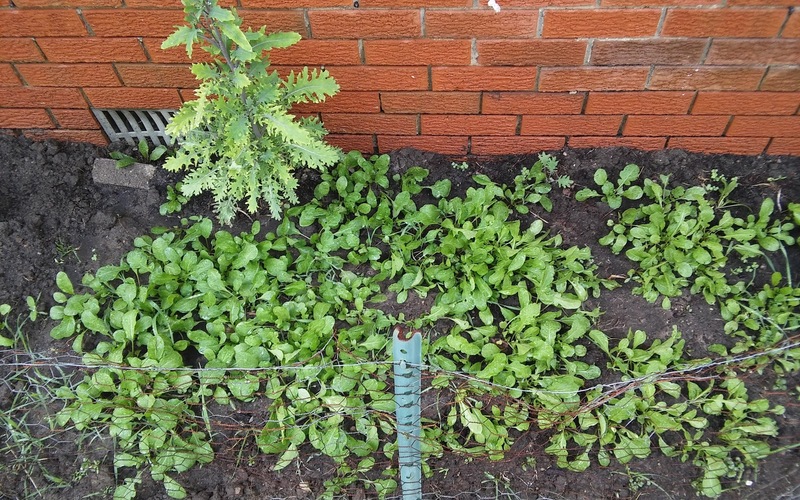 Arugula (already now grown enough for harvesting for salads!) and a couple kale plants. All the tomato plants! 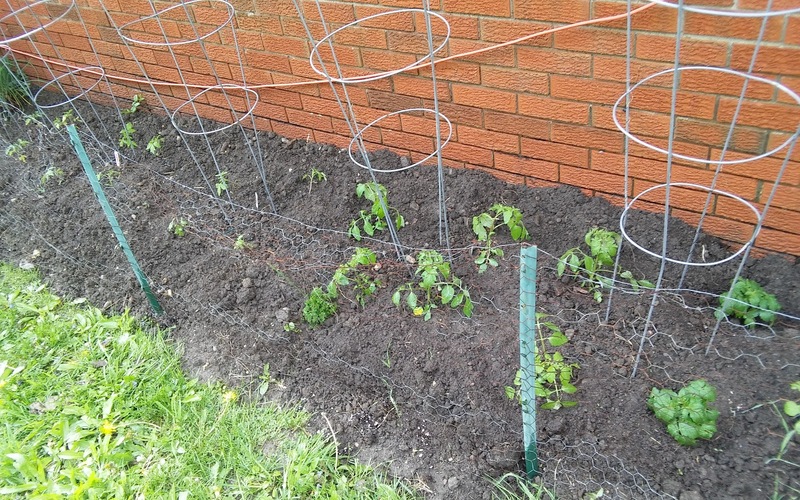 Hopefully they will grow well and give me lots of cherry tomatoes and some bigger ones. I adore the little cherry tomatoes. I had to go to three different stores to find the Sweet 100 plants. At the last one, I cleared the shelf of the last ones, and as I was walking away a person behind me was talking about wanting some - apparently it was tomato planting time! 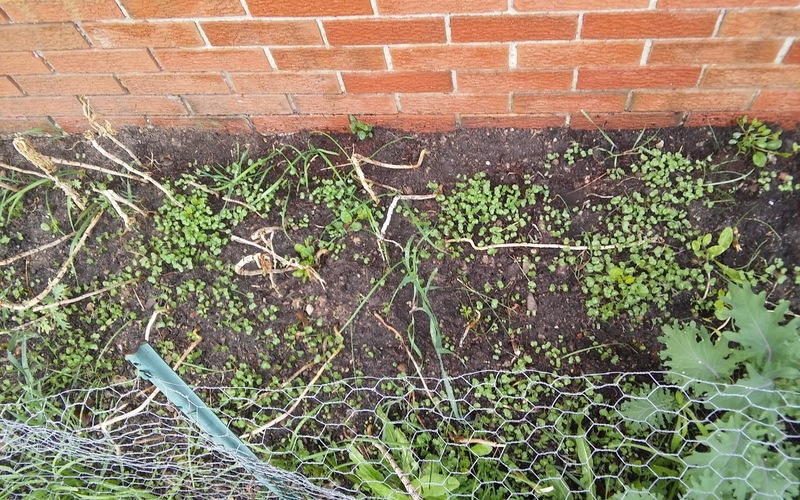 Finally, the ever-growing chives plants. These guys are incredibly prolific. Food! Growing in my backyard! I keep going out to coo at the plants and see their progress every day. It's such a nice little thing to have. 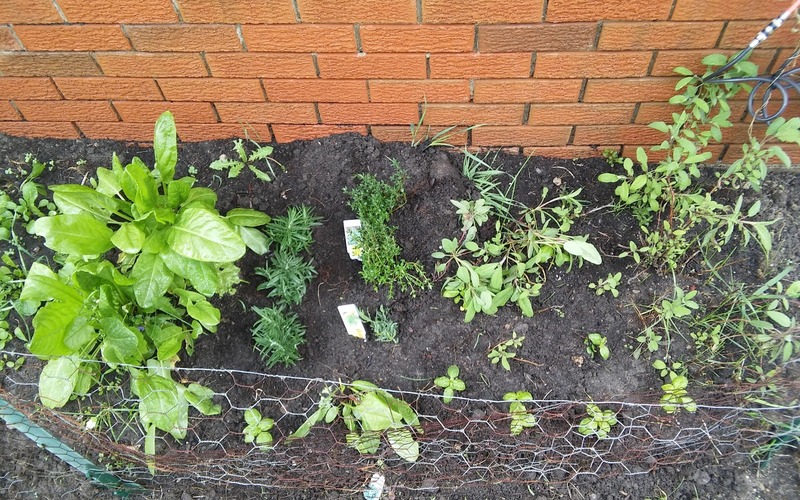 This year, the only plants I bought were the tomato plants and a bunch of the herbs, costing ~$40 total. The rest was all seeds I harvested from last year's plants. So exciting! Any of you have gardens or plants? What is bringing you joy this time of year?